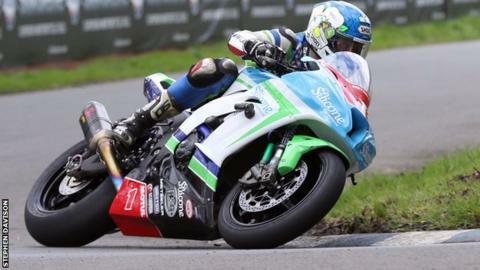 Yorkshire rider Dean Harrison is targeting a first top-three finish at the North West 200 next month. The 26-year-old from Bradford has also yet to complete a race on the Triangle circuit. Harrison, who will compete for the Silicone Engineering team, won two races at last weekend's Scarborough Gold Cup. "I want to see some chequered flags this year - if I could get on a podium I would be over the moon," he said. He added: "That's what I'm aiming for, that's the plan. Anything more would be a bonus. "Last year I fell off a couple of times and still to this day I don't know what happened. "I don't want to go and break down or not finish. I want to get there and crack on with it. "I want the bikes to be good and just keep going and going and going."